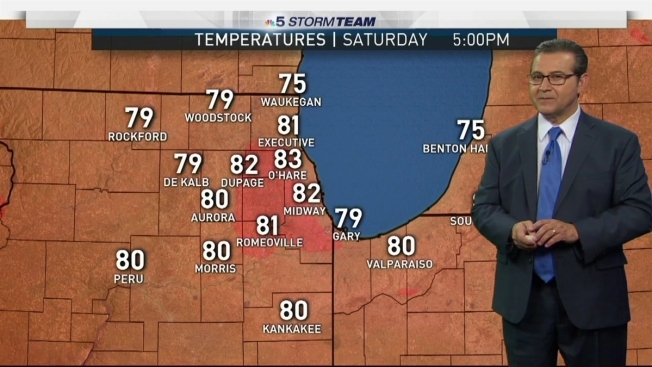 Andy Avalos is tracking a gorgeous weekend forecast for the Chicago area. Beachgoers were warned to avoid the water Friday as life-threatening swimming conditions were forecast along the shores of Lake Michigan. Waves as large as 6 feet and strong rip currents were expected to hit the shores from morning until evening, the National Weather Service said. Residents were warned to stay away from piers and breakwalls, where crashing waves could increase risk of drowning. Highs were forecast in the lower 70s Friday, with winds blowing a steady 15 to 25 mph to the northeast, according to the weather service. Lower wind speeds this weekend will make for safer swimming conditions. The highs should rise to the 80s by Sunday.